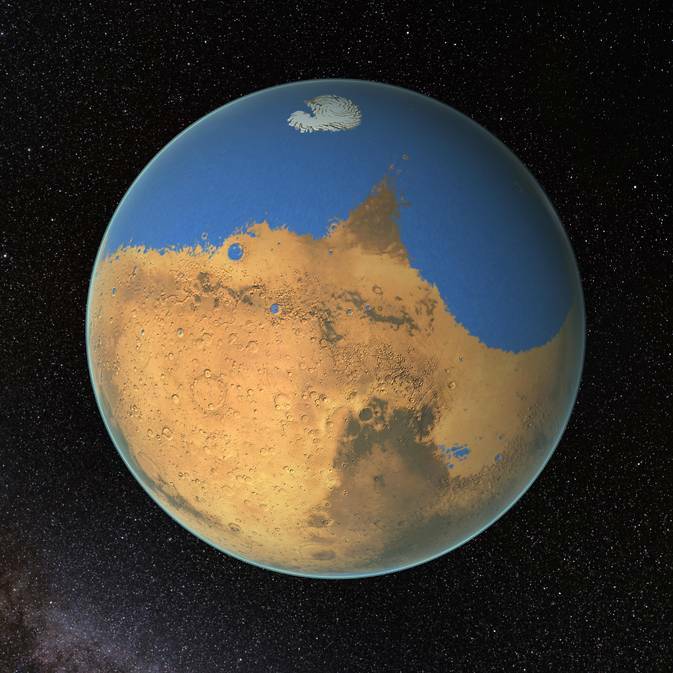 March 5, 2015 – A primitive ocean on Mars held more water than Earth’s Arctic Ocean, according to NASA scientists who, using ground-based observatories, measured water signatures in the Red Planet’s atmosphere. In 2016, a Mars lander mission called InSight, which is currently being built by Lockheed Martin, will launch to take a first look into the deep interior of Mars. The agency also is participating in ESA’s (European Space Agency) 2016 and 2018 ExoMars missions, including providing telecommunication radios to ESA’s 2016 orbiter and a critical element of the astrobiology instrument on the 2018 ExoMars rover. NASA’s next rover, heading to Mars in 2020, will carry instruments to conduct unprecedented science and exploration technology investigations on the Red Planet.